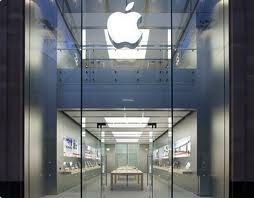 Just a quick note to highlight a fab customer service experience I had at the Apple Store in Princesshay last Sunday. Friday evening, I was trying to use my ipod but for some reason it was not working. On the screen was a red cross in a circle and a website address for Apple Support. I'd seen this before and it indicates a broken hard drive. I was disappointed because this ipod was less than a year old. I managed to make a genius bar appointment and went to the Apple store last Sunday to see what could be done. The guys at Apple quickly determined that the ipod was not repairable. A few notes were taken and I was given a brand you ipod to replace the broken one. An hour's work at home uploading my music and podcasts and all systems were go again. Just wanted to say thanks and the new ipod works perfectly! The Clocks Go Back, Winter Has Arrived. 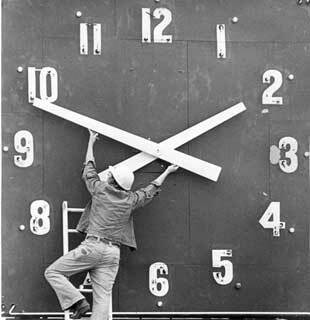 Last night marked the end of British Summertime, the clocks went back an hour and we reverted to Greenwich Mean Time. So this means darkness will come early probably at around 5pm next week, and the days will get progressively shorter as we march towards winter. So after enjoying an extra hour in bed courtesy of the time changes, I woke to see that the day had dawned and the weather looked pretty good. I decide to make the most of the weather and to take the dog to Exmouth for a long walk on the beach. From October to April the beach is open to dog walkers and this would be his first sighting of the sea and the sand. We had a decent walk from the Beacon to Exmouth Lifeboat Station and back again. Exmouth was busy with large numbers of people enjoying a fresh but blustery day at the seaside. Many dog walkers were out too, and there was plenty of oppurtunity for Woody to see and socialise with other dogs. Here are a few photographs that I took today. So the year and time continues to march onwards, just my thought, make the most of every day because time is precious. As I read somewhere "Life is what you do so you can blog about it!" Last weekend marked the 2012 Ryder Cup from the Medinah Country Club near Chicago. At the end of Saturday's play Europe trailed 10-6, on Sunday twelve points were up for grabs, the Americans required 4 1/2 points to win back the Ryder Cup. Over the first two days the Americans built a massive lead, overpowering the Europeans in both the foresomes and four balls. I don't know what was said in the team room on Saturday night and Sunday morning but the Europeans came out motivated and playing superb golf. Unfortunately I didn't have Sky Sports so wasn't able to watch the final day's play on the television, instead I spent Sunday evening listening to the coverage on Radio 5. What can I say, it was superb, the atmosphere was amazing and you could feel the excitement building through the evening's coverage. 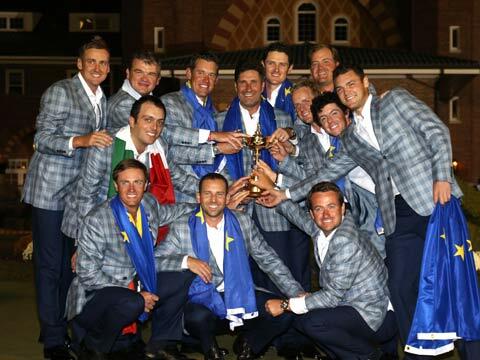 Belief built and Europe pulled off an amazing and unlikely win to retain the Ryder Cup. I just wish I had a bet on this because I reckon you could have got long odds on a European Win on Sunday morning. I must say this was an amazing end to an awesome summer of sport, from the Olympics to the Paralympics and finally to the Ryder Cup. Sport and sporting endeavour at its best!